Special offer: 20% Off on medicines + 5% 1mgCash (up to Rs. 75) on medicines & health products. Use coupon 20PLUS5 in cart. Corebolics Core Fusion Whey Protein is a health supplement that is enriched with whey protein concentrate and whey isolate. Whey protein is an excellent source of EAA ( essential amino acids) and BCAA (Branched-chain amino acid) which help in synthesis of muscle protein at the cellular level and help in the growth of muscles. It is also useful in reducing ghrelin which is a hunger stimulating hormone and helps in the growth of lean muscles. It is also useful in the growth and recovery of muscles. 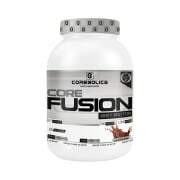 Corebolics Core Fusion Whey Protein is available is different delicious flavours and pack sizes. Mix 1 scoop ( 31gm) with 200-300ml water or skimmed milk. Use a blender or a hand held shaker. Mix for 30 seconds. Have 1-3 servings daily depending on daily protein need. 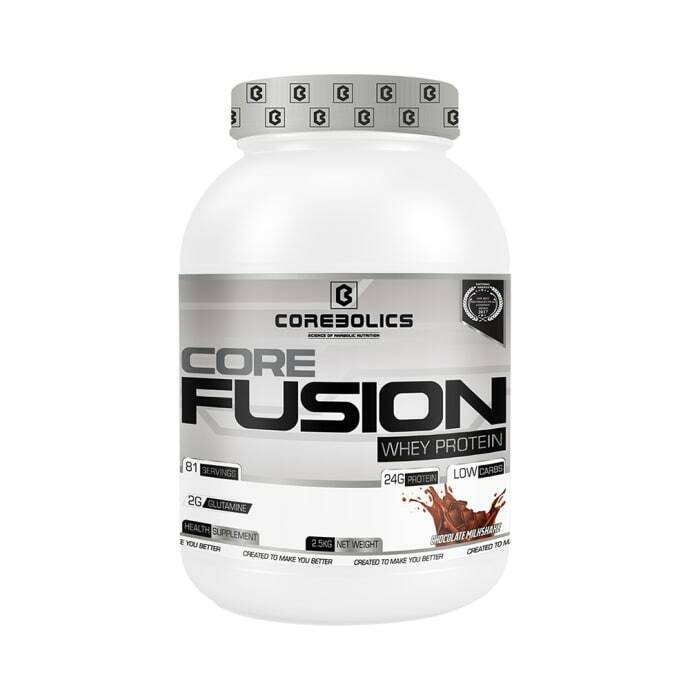 A licensed pharmacy from your nearest location will deliver Corebolics Core Fusion Whey Protein Chocolate Milkshake. Once the pharmacy accepts your order, the details of the pharmacy will be shared with you. Acceptance of your order is based on the validity of your prescription and the availability of this medicine.